Well time really does fly when your having fun....I can't believe it's challenge time again over at Just Add Ink, This week we have a very pretty colour combo for you and heaps of gorgeous inspiration from the DT. This challenge was perfect for creating a much needed gift box for a beautiful silk scarf l had purchased in Cambodia. As the Challenge colours worked well with the Blues & Chocolate tones in the scarf, all l needed to do was create some matching DSP strips for the bands & tag using the Mixed Bunch set and punch out a flower for the belly band, add some ribbon to tie the top closed and it was done! 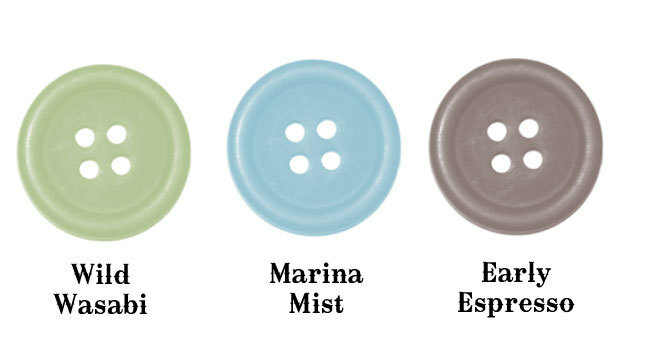 Don't forget to check out the challenge blog and the gorgeous inspiration from the Design Team! 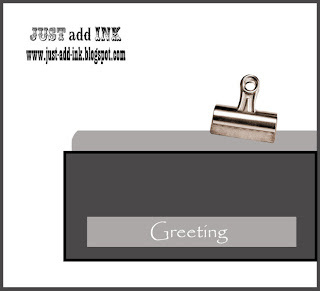 All products are Stampin-Up, unless otherwise stated. Hiya, thought l would share a card l made recently for a very special lady on her Birthday. I really enjoyed making this card and playing with a die that l have had for ages, but rarely used.."The Fun Flowers" die, l also wanted to use Real Red as Delys is a little partial to all things that colour. To add a little dimension to the flower, l sponged the edges with Cherry Cobbler and used my marker to add some strokes to the centre. To create more realistic leaves, l stamped the image from French Foliage onto Pear Pizzazz cardstock using Always Artichoke, using the medium petal from the Build a Blossom Punch to cut them out and sponged the edges with Artichoke to add a little more depth. The other products l have used are the Square Lattice embossing folder, Real Red DSP, Brights Button, Bakers Twine, Crumbcake for shading, Decorative label punch & Bring on the cake sentiment. "Thanks so much for stopping by & for the lovely comments, l really appreciate each and every one"
We have a great Sketch challenge for you this week over at "Just Add Ink" provided by Mae. Surprise, surprise l have used Apothecary Art & my Framelits again.........I kept my card fairly simple in keeping with the sketch layout, l wanted to add some background detail without adding an obvious pattern, Stampin-Up's Simply scored board was perfect for this and fun to play with. I liked the idea of adding a pocket with this sketch and the journal stamp was the perfect size for a hidden message. I coloured the image using Watercolour Wonder Crayons and a blender pen, l love the soft effect that these create for colouring and it seems to be my medium of choice lately. The Just Add Ink girls have some lovely inspiration for you, so pop over to the Challenge blog and check them out. "As always, l appreciate you stopping by & l hope your day is wonderful"
A quick post from me today, thought l would share another card made with the SU framelits. l only used part of the framelit to diecut a fancy edge rather than the whole shape, by sliding the folded card from the top through the centre of the framelit, then beneath the bottom edge and using a small piece of low tack masking tape to hold it in place before running it through the Bigshot. "Thanks so much for popping in & have a great week"
Framelits, Basic Pearls & Baja Breeze Seam Binding Ribbon. 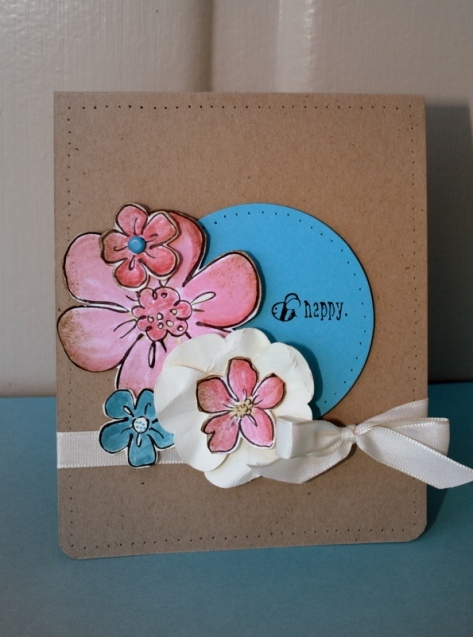 Our challenge over at JAI is to case a DT member, this weeks Design Team Member is Delys, she has some beautiful and inspiring creations from cards to scrapbooking & 3D projects, heaps to choose from. I stuck to similar colours and layout to Delys and added a couple of giant pearls to finish it off. The Design Team have done a lovely job of caseing Delys and have provided some great inspiration for you over at Just Add Ink. 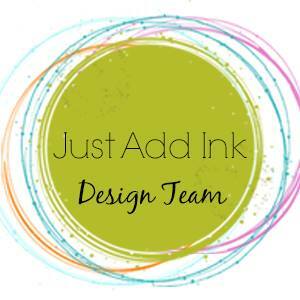 This week over at Just Add Ink our challenge is to "JUST ADD PEARLS" a nice simple challenge! My card for this week is a little that way too, l enjoyed this challenge as l could pretty much please myself as long as l added some pearls! A few new Autumn/Winter Mini products got used on this one and l must say how well all of the products in this mini co-ordinate together, l love the 2 new DSP ranges and l am a self confessed "Blossom Punch" addict! The Design Team have created some really beautiful inspiration for you and we love to see the gallery full of inspiration from you too! So grab your pearls and play along with us, there really are no boundaries to this challenge! Elegant lines E/F & Blossom Petals Builder Punch. Well that just flew by, back to reality already! It was 5 days of fun, laughter, friendship and creating. As always Stampin-Up hosted another fabulous event where we were totally spoilt with New Products and Sneak Peeks from the next Catalogue coming out in Australia/New Zealand on the 1st of Sept. It was wonderful to catch up with the Just Add Ink girls and friends old and new, for me that is definitely a highlight and my roomies were a laugh a minute. Our days were spent attending classes and general sessions....Oh so much to take in, but heaps of great info and brilliant ideas from everyone. These sweet little gift card purses are made using the Framelits Dies, Blossom Punch, Boho Punch and Petal a Plenty embossing folder, Basic black grosgrain ribbon, Tag punch and Tiny tags set for the sentiment. These were my JAI girls Convention Gifts, l was lucky enough to find some cute little notebooks in the same colours as the Twitterpated DSP. I also used the Framelits Dies and Apothecary art set, along with each initial embossed in Cherry Cobbler E/P from the Broadsheet Alpha, l love making and giving personalised gifts and the second pic is them all wrapped up ready for Convention. I packaged them in envelopes made from re-cycling the mountains of brown packing paper that comes with each Stampin-Up order. I also have some more swaps to share from an organised swap with the JAI girls, but l will wait to share those till l know everyone has received them. "Thanks for popping in, enjoy your day!" 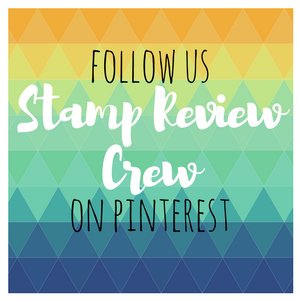 All products used are Stampin-Up unless stated. 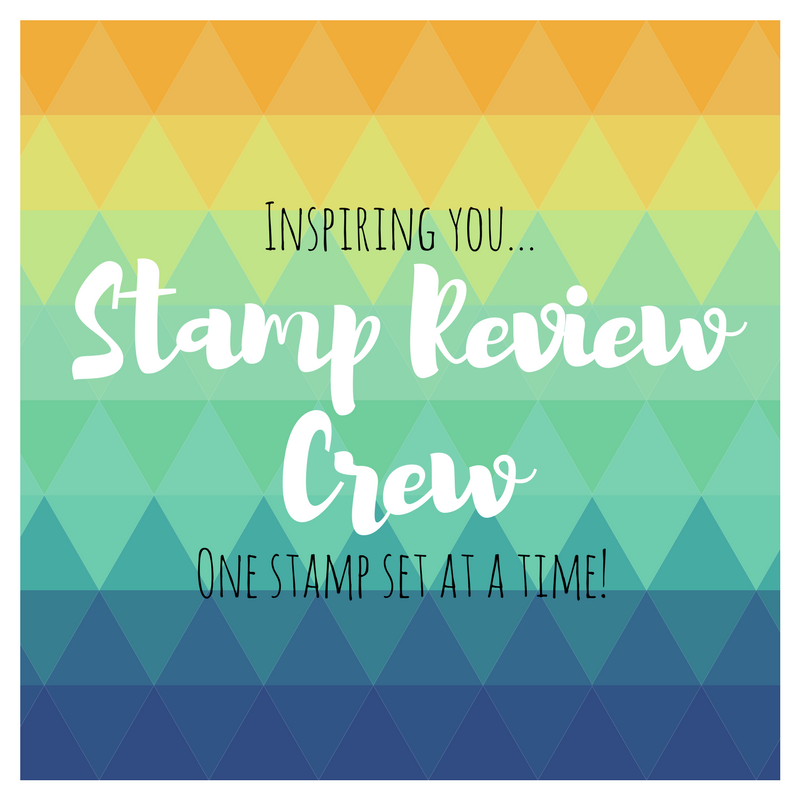 I'm really hoping this post will publish on time, as l am presently in Canberra enjoying the massive fun of Stampin-Up's Convention and have set it to go on it's own. Well this week over at JAI we have a great inspiration pic for you, lot's of fun elements to get you creating. I decided to have a little fun with this challenge and create something a little different, well for me anyway! The first thing l spotted in the pic was the gumboots and as l have a little obsession with all the cute floral and patterned ones available these days, l decided to give it a go using the Stocking punch & some pretty Twitterpated DSP. A bit cute, even if l do say so myself..:0) l just couldn't resist adding a little bling to each one too. I would love a pair of these and keep eyeing off a similar pair on-line by Cath Kidston.....they would make puddle jumping with the grandsons a whole lot more fun! The JAI girls have some great crafty inspiration for you, so don't forget to pop on over and be inspired and play along if you can. "Thanks for stopping by and l hope your day is as enjoyable as mine"